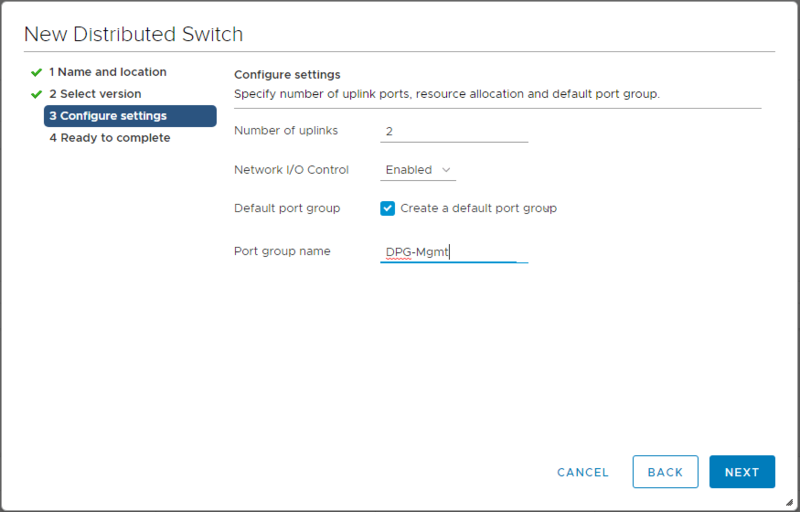 Second, the upgrade process copies data from the source appliance to the deployed appliance. 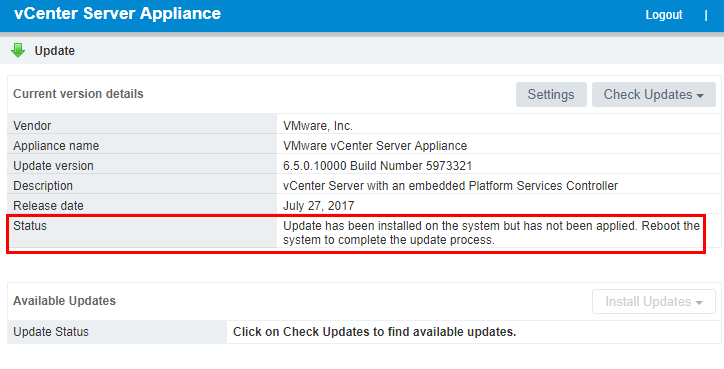 If you are already running 6.5 and want to upgrade to Update 1, then it is as simple as logging into the VAMI interface and running the Update procedure there. Let’s take a look at that process. 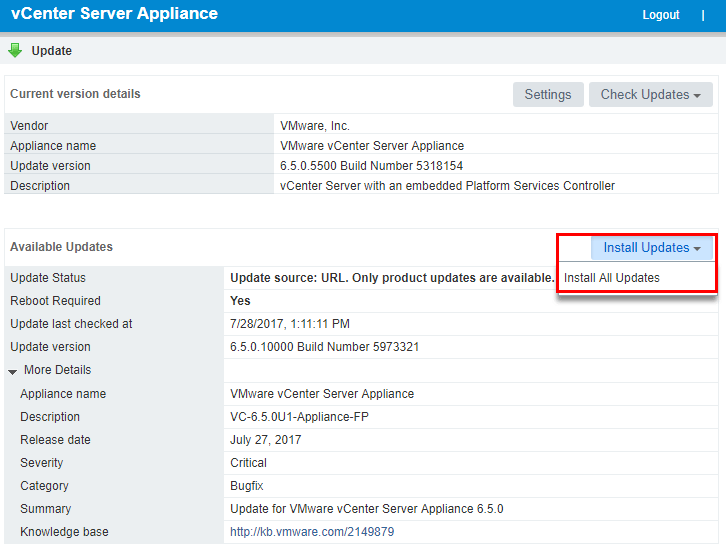 First of all, we can look at the current version running on our lab VCSA 6.5 appliance. Version 6.5.0.5500. 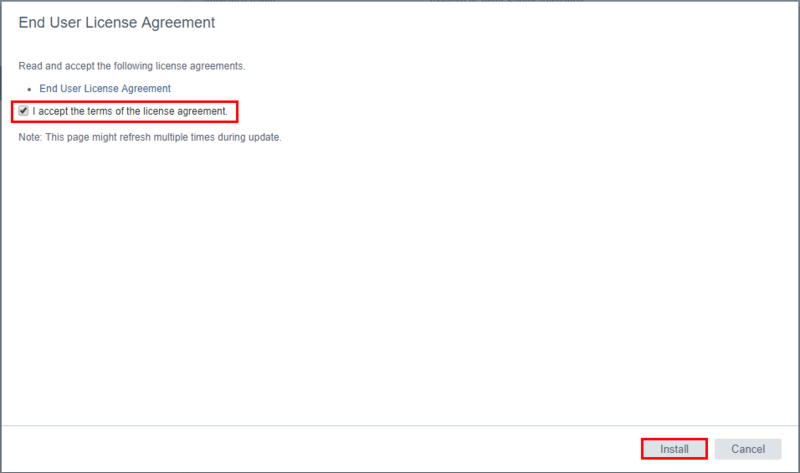 Under the Update Menu we simply select the Check Updates and Check Repository links. 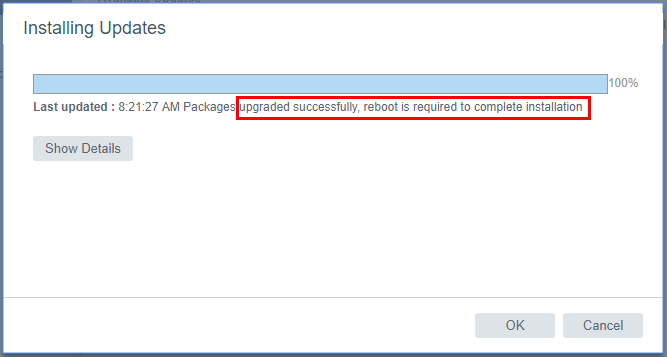 We should see the available update to 6.5 Update 1 appear as available. Update Version 6.5.0.10000 Build Number 5973321. The Update process begins. You can Show Details and see each step as it is running. After the update finishes, we will be prompted to reboot the appliance. If we click OK above and look at the Update version and Status we can see we are at the latest version now with the reboot prompt. I chose to simply reboot the appliance from the VAMI interface. 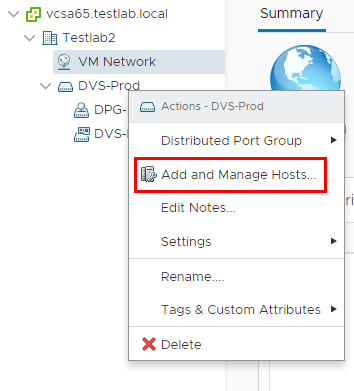 Now that the appliance has rebooted and we should have the new functionality, one of the most exciting components of the vCenter VCSA Update 1 release for me is the additional HTML5 functionality. All of us have been eagerly awaiting the day when we can fully use the HTML5 interface as opposed to the legacy flash client. With 6.5 Update 1 this is getting closer to being reality. VMware has mentioned they are now at around 90% of the functionality in the HTML5 client. 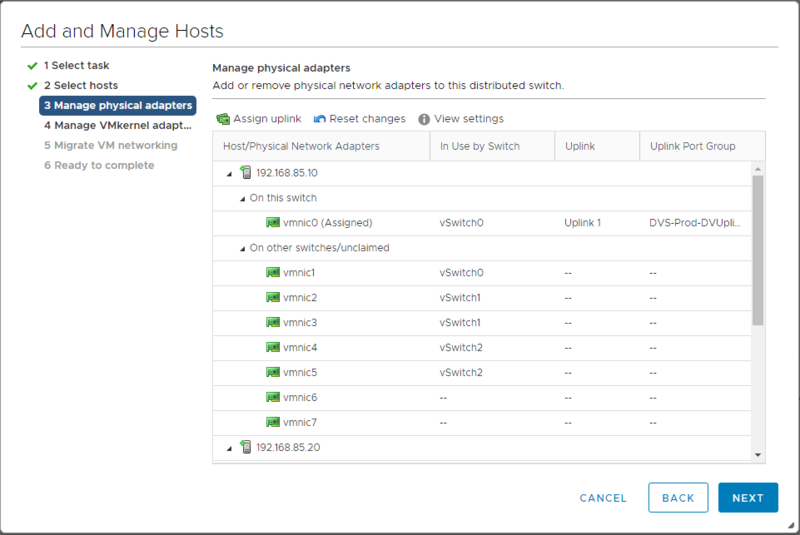 There are additions in the area of Virtual Distributed Switches as well as storage and others to mention a few. 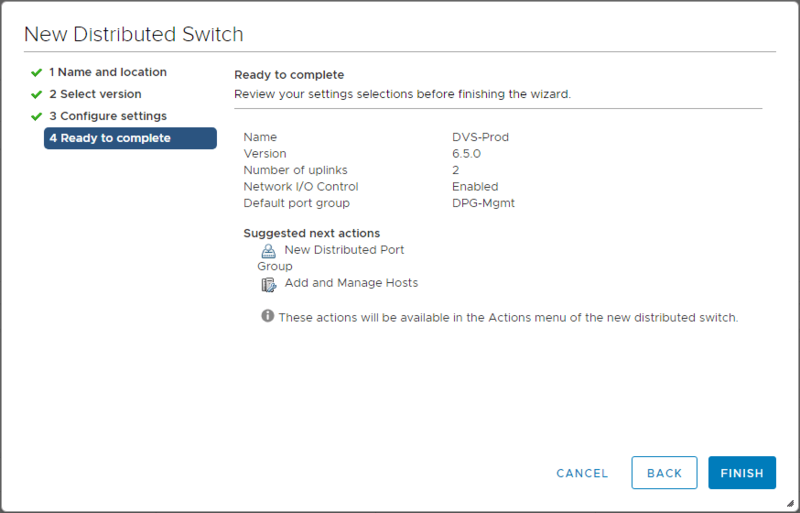 I was excited to hear the added feature set to manage VDS switches. I have a couple of screenshots below comparing the “non Update 1” to the “Update 1” version of the HTML5 client. Notice the screenshots of a couple of differences. 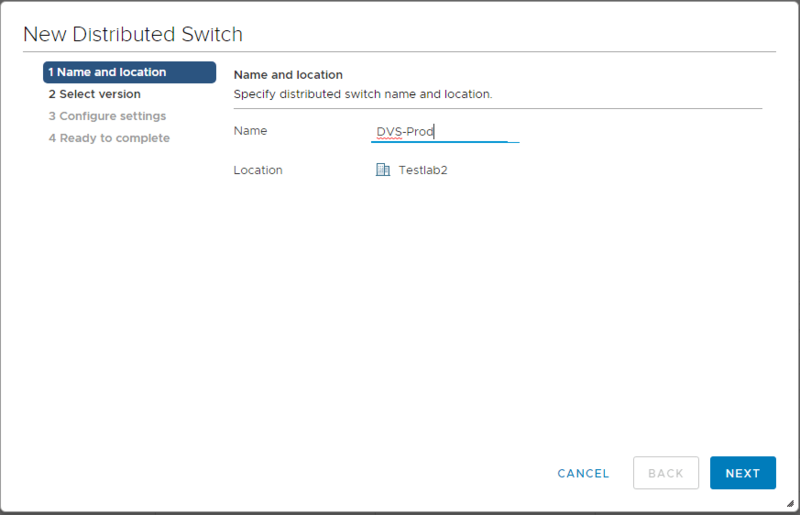 Just as a walk through to test the functionality, I went through adding a new VDS switch as well as adding this switch to a couple of hosts in the lab. 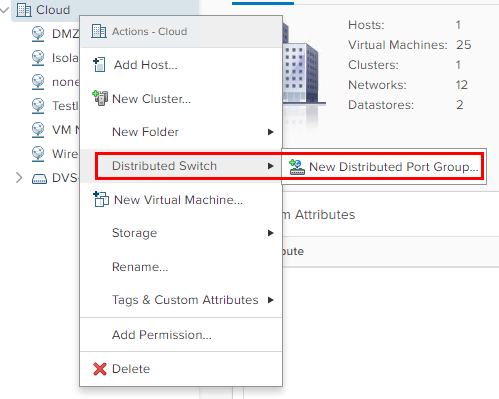 Below we have the “non Update 1” HTML5 client and as you can see we can only create a new Distributed Port Group. 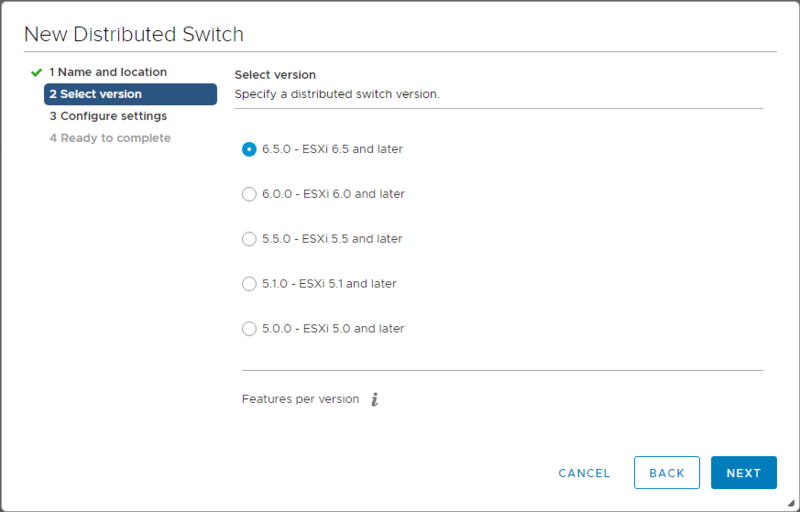 Looking at the new HTML5 web client we see that we can create new Distributed vSwitches. A different example involving storage. 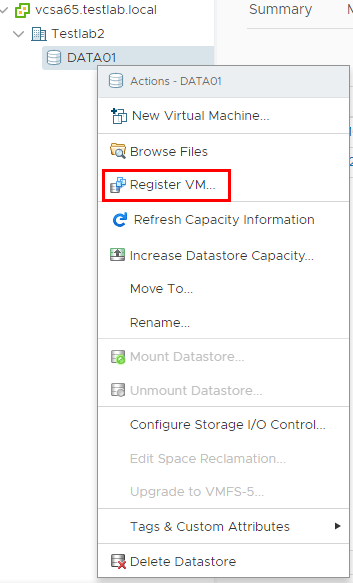 Below is the HTML5 client prior to Update 1 and we don’t have the option to register VMs among other things. 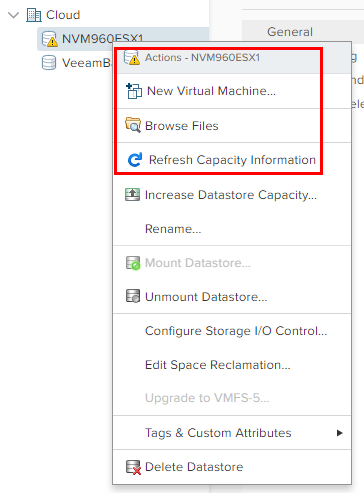 With vSphere 6.5 Update 1, we have the option to Register VM from storage. 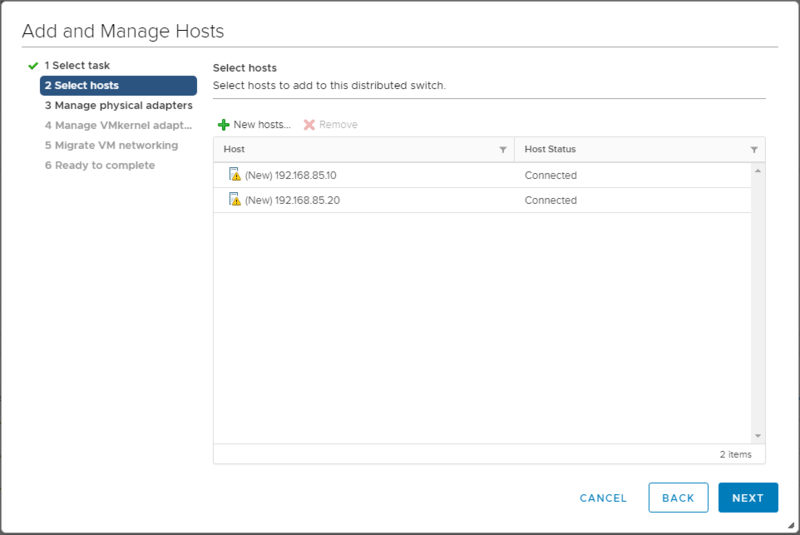 Verified – we can add Distributed Switches with the new HTML5 client. I went through the wizard and everything works beautifully! Can anyone say “death to the flash client”? 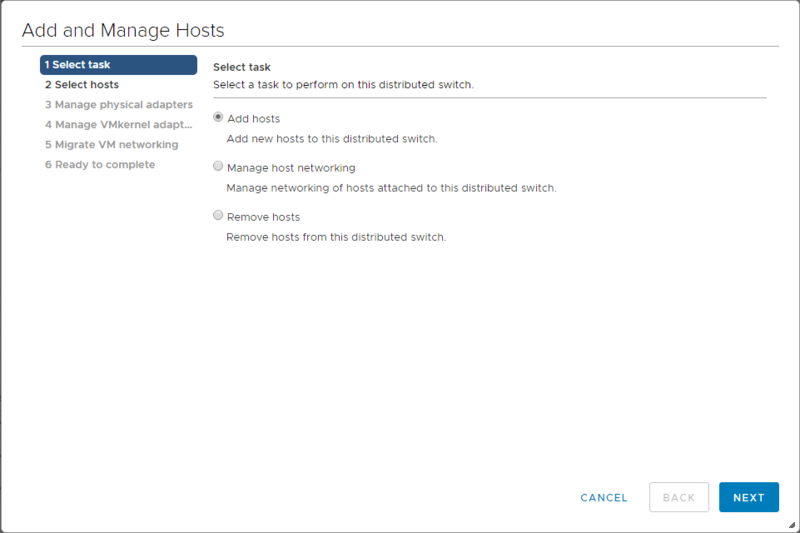 Next, we can add the new Distributed Switch to the hosts as well. Let’s look at the wizard HTML5 style. 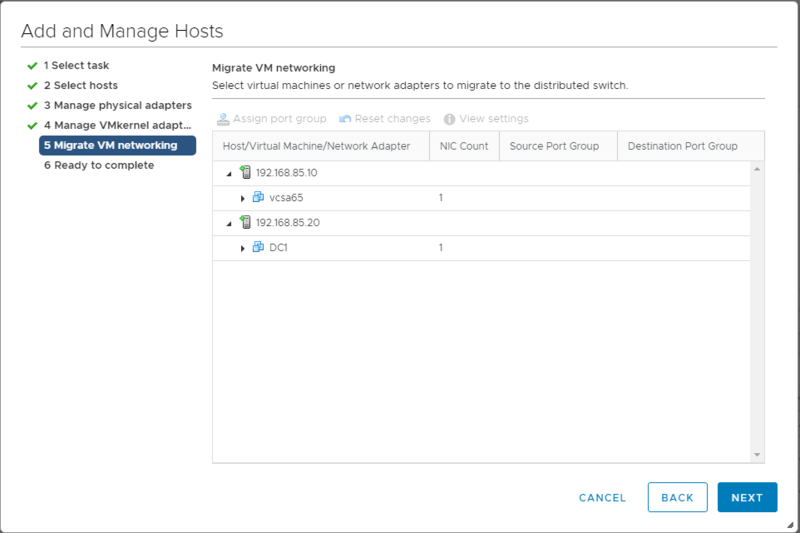 Upgrading VMware vSphere VCSA Appliance to 6.5 Update 1 brings many exciting new features. The additional HTML5 functionality is certainly welcome news for all who have long been desiring to leave the flash client far behind. 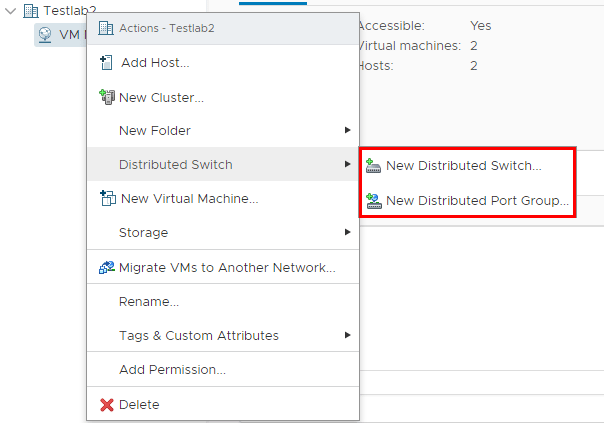 With 90% of the features and functionality being reach with vSphere 6.5 Update 1 for vCenter, this truly may be the release where we can for the most part, leave behind the flash client. 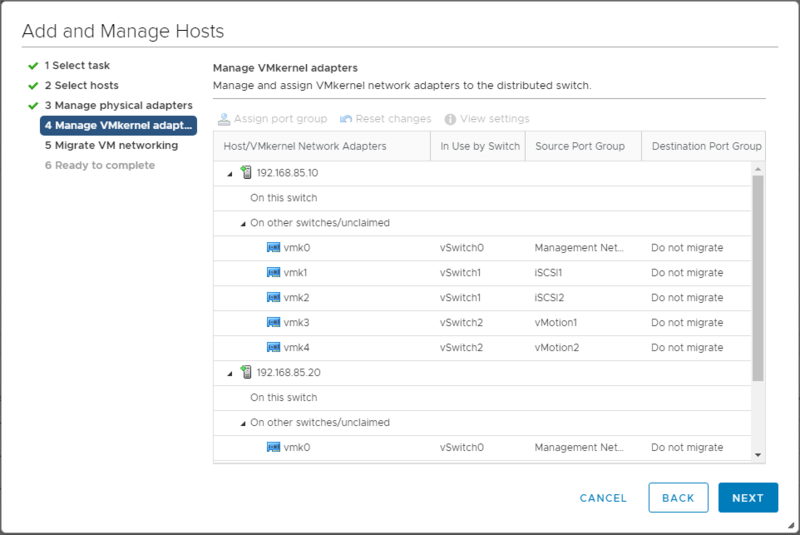 However, we still have to wait for future updates to manage NSX and the likes as that just isn’t there yet. 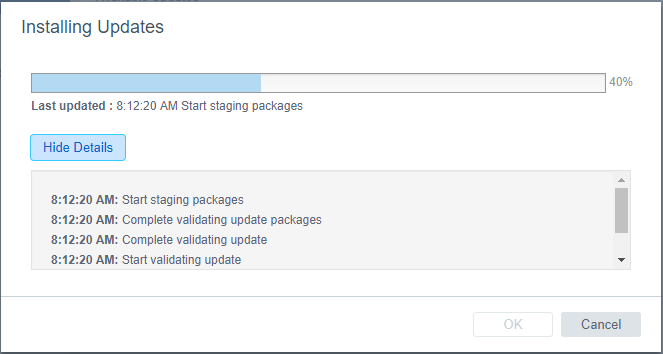 However, two thumbs up to VMware for this release as it is certainly a worthy upgrade! Stay tuned!